6500 Series end suction centrifugal pumps are based on the proven technology of Gorman-Rupp’s Prime Aire and Prime Aire Plus priming-assisted pump models. 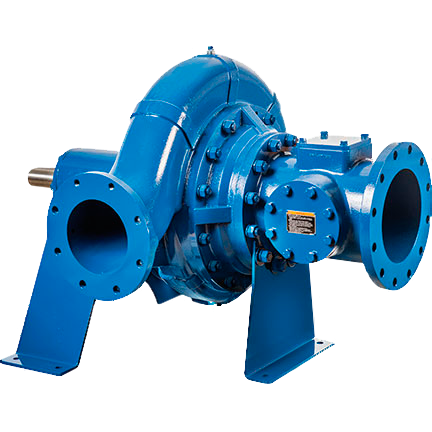 The 6500 Series was designed to extend Gorman-Rupp’s end suction centrifugal pump offering and to better serve applications where a suction lift is not required. A double volute mitigates shaft breakage and extends the life of the mechanical seals, wear rings and bearings, all while maintaining hydraulic efficiency, while a side access port allows for easy access to pump interior for inspection and clean out while the pusher bolt capability assists in the removal of the suction flange.